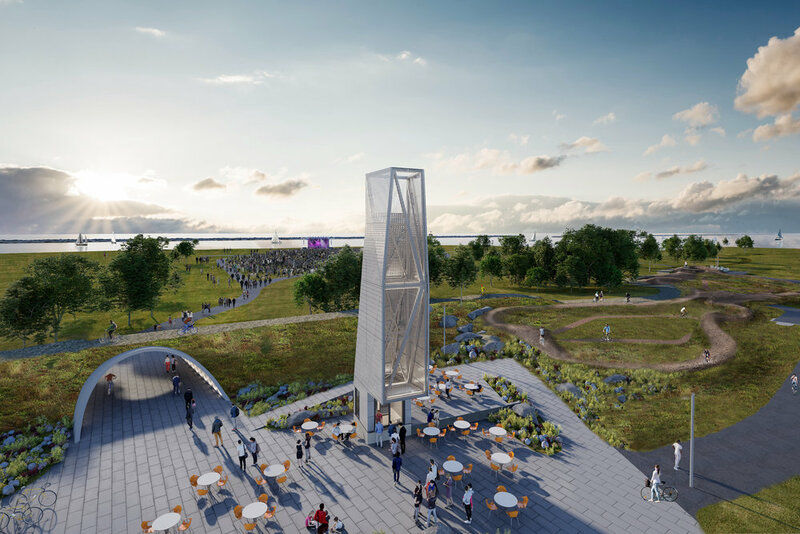 Buffalo Outer Harbor Kiosk — Touloukian Touloukian Inc. The Buffalo Outer Harbor Access and Activation plan is part of a large city-wide initiative to bring the surrounding neighborhoods, Buffalo community, and tourists to the Outer Harbor. Recreational amenities and iconic architectural spaces highlight seasonal programs and events to improve access and interest in this compelling waterfront setting. Extensive pedestrian and bicycle networks, an event lawn, strategic architecture, way-finding, and art are used to activate the harbor. 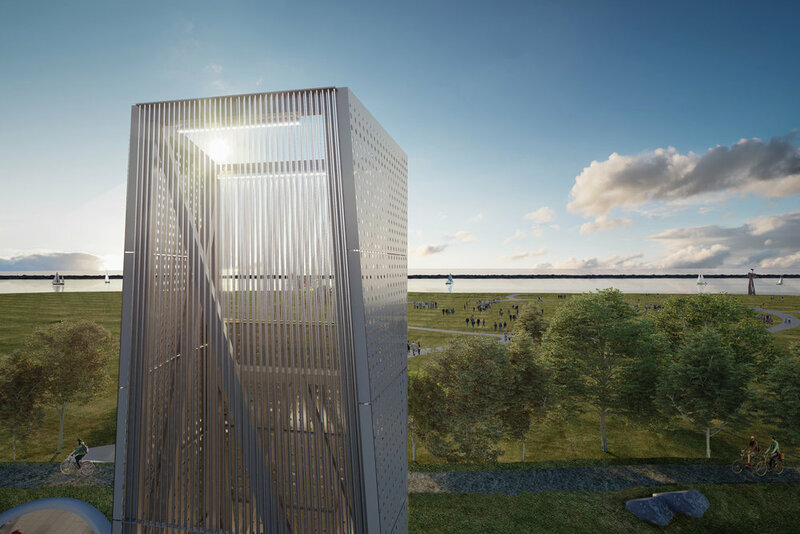 A ticket booth kiosk is designed to serve its function, and also be a landmark beacon orienting bikers along the outer harbor and referencing the historic grain silos that once prevailed over the entire site during Buffalo's industrial boom. 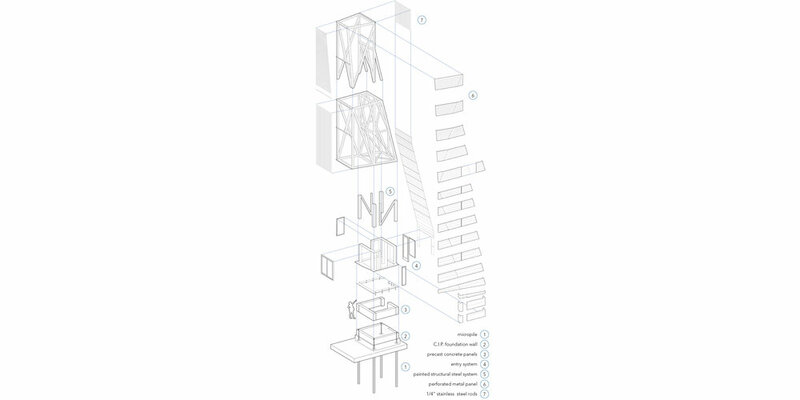 Building assemblies include perforated metal panels, a cast-in-place foundation, pre-cast concrete panels, stainless steel rods, and exposed structural steel tubes that add a sculptural quality to the experience of the kiosk. 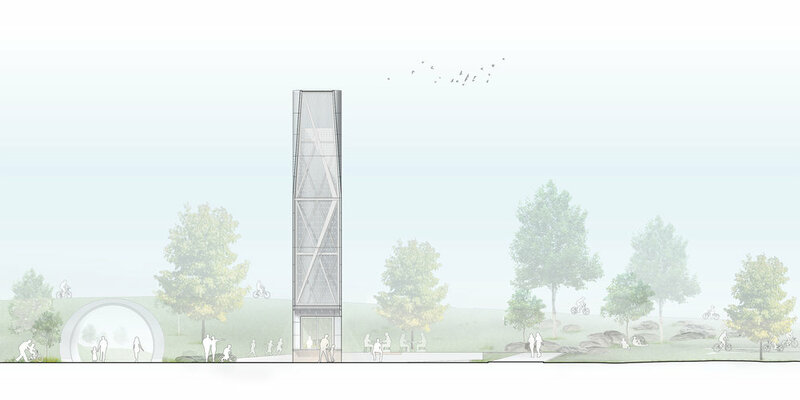 The perforations in the metal panel reflect the shape of a wheat grain as a nod to the significant grain silo history along the Buffalo Harbor.